The former factory and cannery on Merrill's Wharf in Portland, now occupied by the law firm Pierce Atwood, was recently placed on the National Register of Historic Places. This former children's hospital on High Street in Portland was recently placed on the National Register of Historic Places. PORTLAND, Maine — Two high-profile renovation projects in Portland got a boost last week when the buildings were placed on the National Register of Historic Places. A pair of old storage buildings on Merrill’s Wharf, one of which is the celebrated new home of the largest law firm in northern New England, and a former children’s hospital, which grabbed headlines as a controversial affordable housing project, are now on the registry. With the historic designation, the painstaking rehabilitation jobs are in line for a combined $9 million in state and federal tax credits. Elm Terrace and “ the Pierce Atwood building” are now the common names of the historic structures that once were home to the 1909 Portland Children’s Hospital and the 1884 Twitchell-Champlin Co. factory, respectively. “The listing was very significant to the project, which could not have been done without the resources that the historic rehabilitation tax credits contributed to the overall project,” Erin Cooperrider, development director for Community Housing of Maine, said of the old children’s hospital. Located at 66 High St. in recent years, it was owned by the University of Southern Maine and last year gained notoriety under the project name Elm Terrace. The now-$10.46 million project was cited multiple times by state Treasurer Bruce Poliquin as an example of irresponsible spending by the Maine State Housing Authority, the state agency which provided a portion of the funding for the work. Poliquin argued the agency was overreaching by supporting the expensive renovation of the former children’s hospital, and instead should have been seeking cheaper projects in new structures or ones farther from the inner city. Lost in that political firefight, which indirectly resulted in the resignation of longtime MaineHousing Executive Director Dale McCormick last week, was the effort to give new purpose to a Portland structure with historical significance. 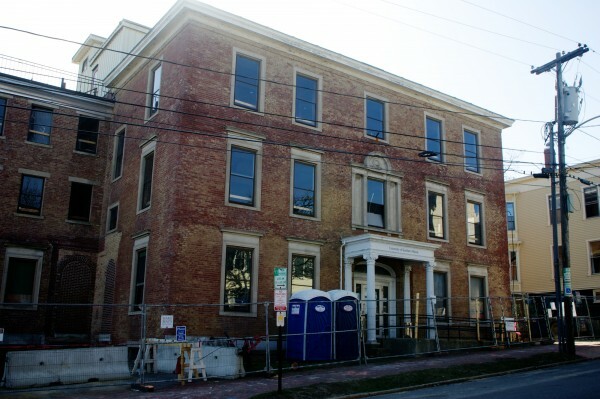 With its listing on the National Register of Historic Places, Portland-based Community Housing of Maine is in line to claim $2.3 million in state and federal tax credits to help reduce the project costs that attracted so much attention. 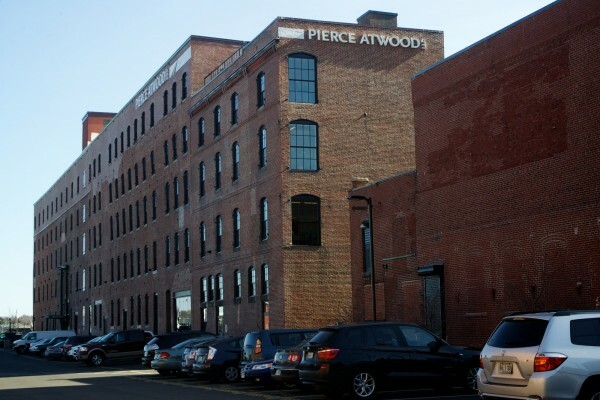 Across the city, the plan to renovate an 1884 industrial building to serve as the new home of Pierce Atwood sparked a debate over whether City Hall should grant the developer a 20-year tax break to help offset the heavy fix-up costs. The city agreed, granting $2.6 million in property tax breaks over two decades. That prompted longtime building owner Waterfront Maine to press forward with its plans to restore the Merrill’s Wharf structure. Now that the structure is on the register, Hanson said Waterfront Maine also can seek state tax credits equal to 25 percent of the historic renovation costs and federal tax credits worth 20 percent of those costs. According to the Maine Historic Preservation Commission, which approves nominations to the register before they’re forwarded to the National Park Service, the qualified expenses associated with the Merrill’s Wharf project were approximately $15 million. Those do not represent the overall project costs, which developers have not publicized, but rather the costs tied to preserving and renovating the historic aspects of the buildings. Combining the allowable state and federal tax credits, Waterfront Maine can seek $6.75 million toward the renovation project. Pachios admitted that his organization could avoid a lot of headaches and paperwork by building on undeveloped lots in industrial parks. Supporters of the renovation efforts say that without the credits tied to the National Register of Historic Places, it would be prohibitively expensive to protect the country’s most historically significant structures. To be eligible for the National Registry, a property must not only be historically significant but also must retain a recognizable amount of its character from that historically significant past — even after being repurposed for modern uses. In the case of the Merrill’s Wharf structures, the larger building, about 68,000 square feet of which is occupied by Pierce Atwood, spent the late 1800s and early 1900s as a spice mill, candy factory and cannery. So the challenge facing the developers, said Hanson, was to make the structure comfortable for a large, modern-day law firm while preserving the character of a factory. Those responsibilities fell, in part, on contractor Metric Construction and architectural firms Winton Scott and Visnick & Caulfield. Hanson said the building’s wooden beams and brick walls were left largely exposed and old window openings, which had been filled with concrete in the 1960s, were restored as windows. “In many places in the building, you can still get great expansive views from one brick wall to the other brick wall, and you get plenty of natural light from those large windows,” he said. The former children’s hospital — which gained historical significance in part as the base of operations for surgeon Dr. Edville Abbott, whose “Abbott Treatment” for scoliosis symptoms became the standard practice nationwide for decades — presented different problems for designers and architects trying to honor the property’s history. In the previously open space between the 66 High St. building and nearby Danforth Street, Community Housing of Maine is constructing a complementary building to add housing capacity to the location. The additional building, still under construction, exhibits the basic character of a Federal-style mansion, common in the area during the time period, but with modern tweaks such as more angular molding profiles.